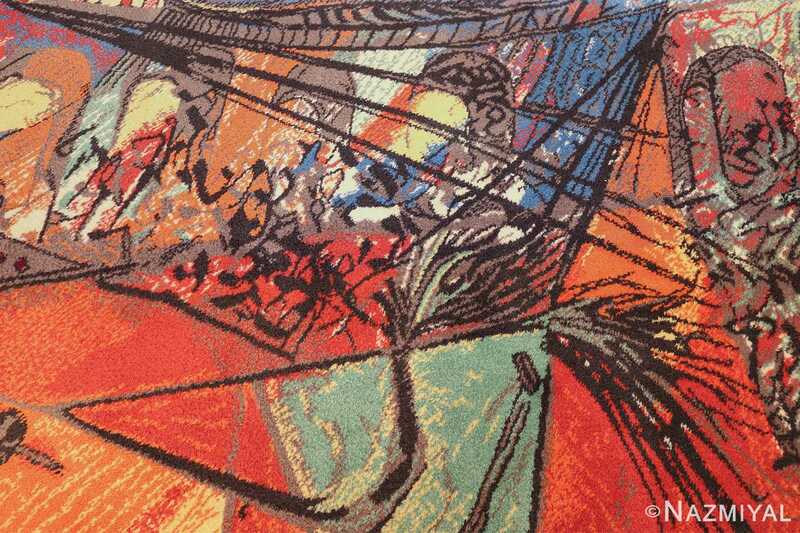 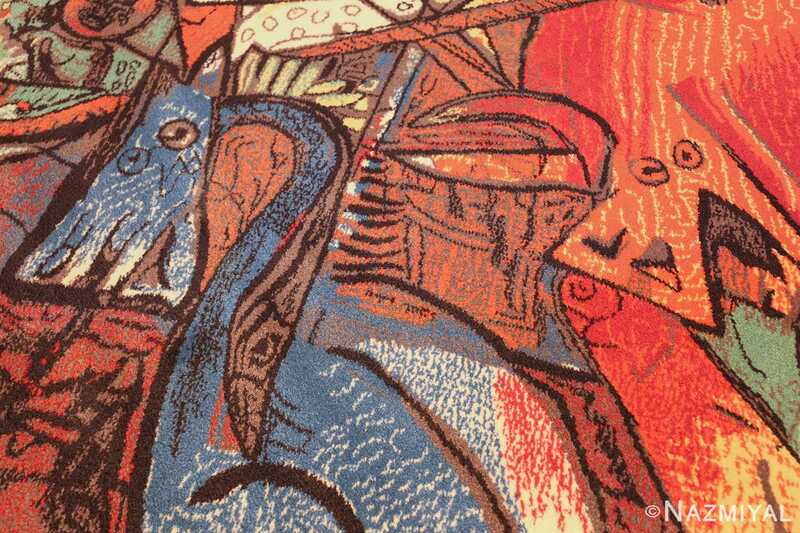 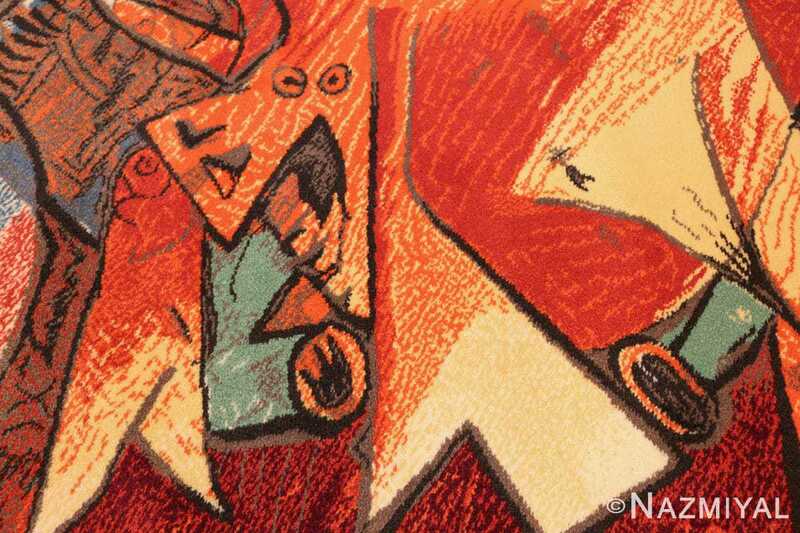 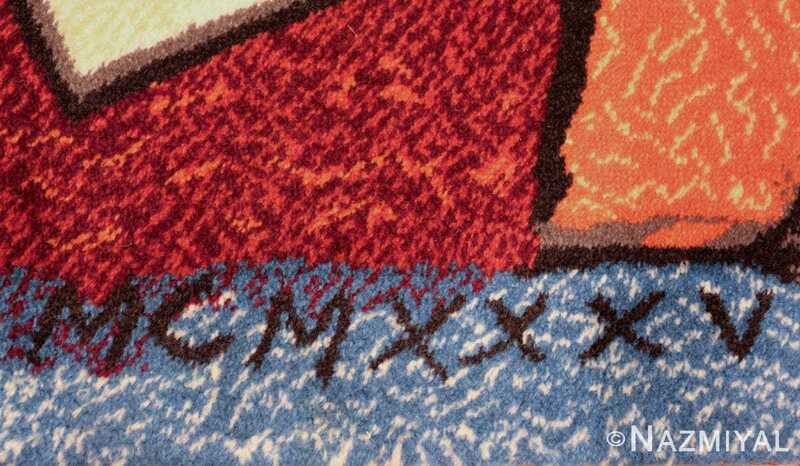 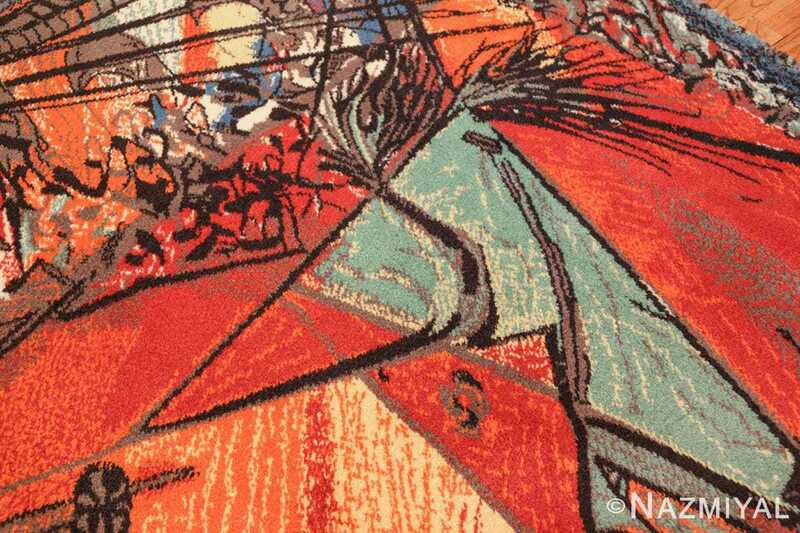 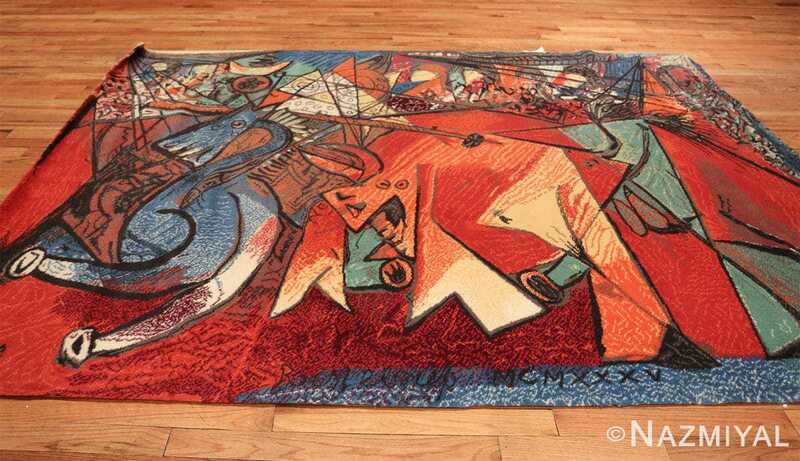 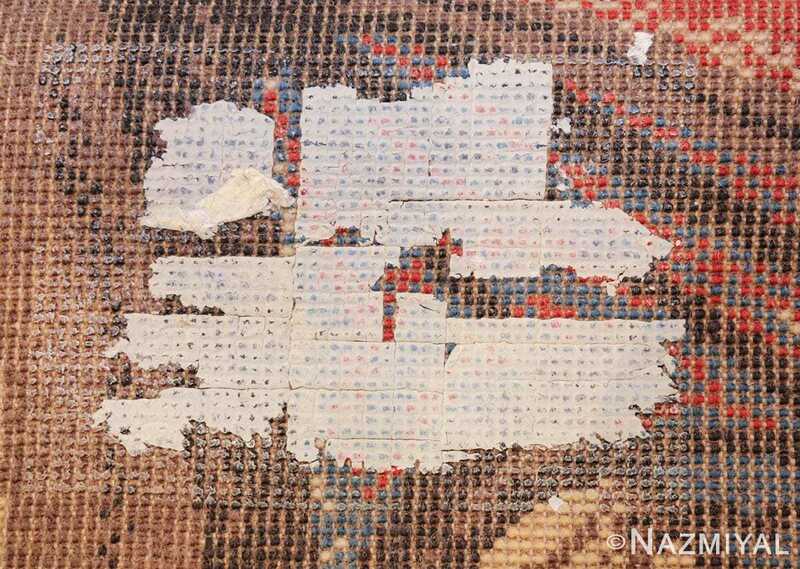 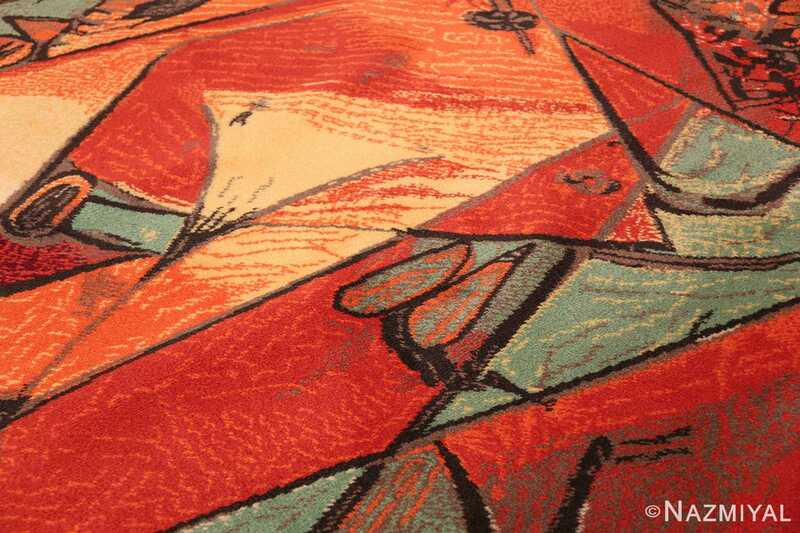 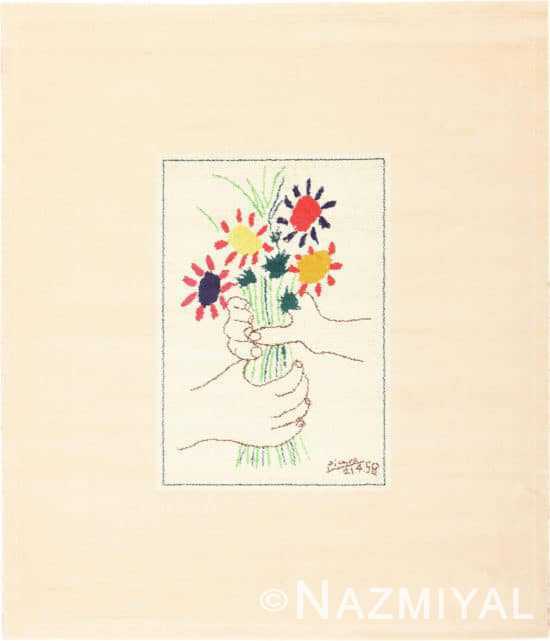 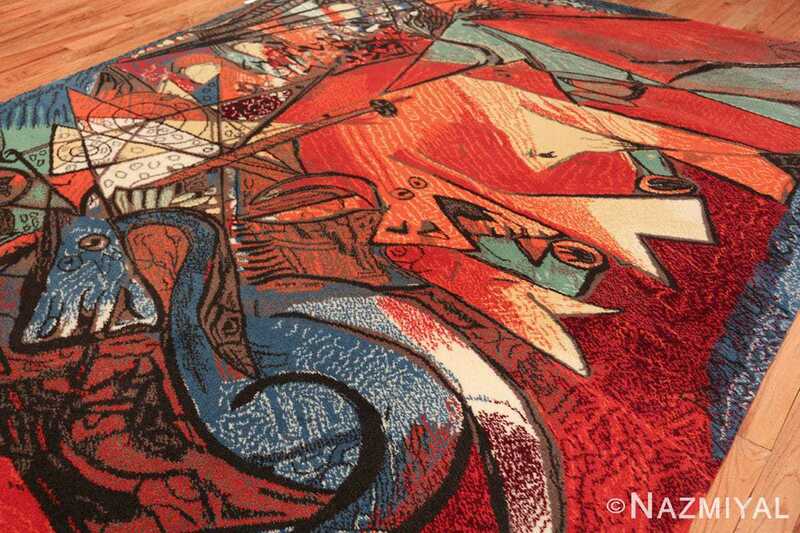 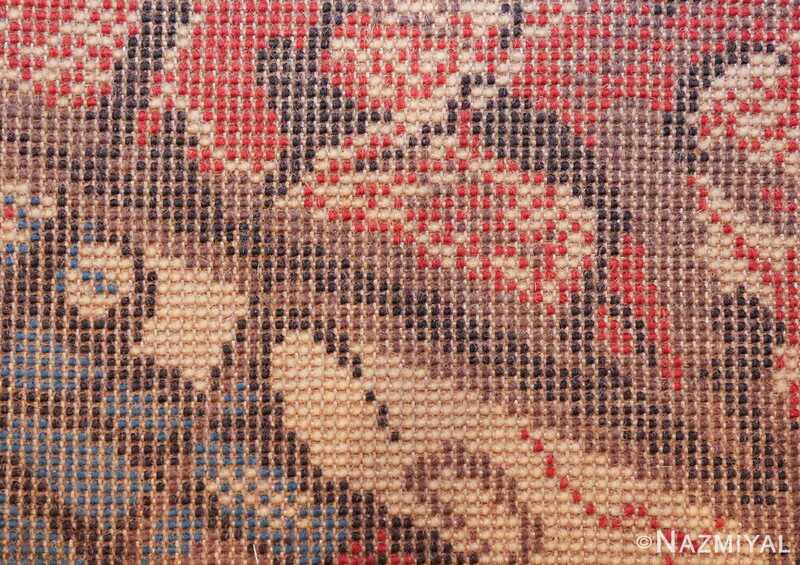 Vintage Pablo Picasso Rug by Ege, Origin: Scandinavia, Late-20th Century – Here is a remarkable and exciting vintage carpet – a mid-century Scandinavian carpet, woven by Ege, and featuring an absolutely breathtaking composition of Pablo Picasso. 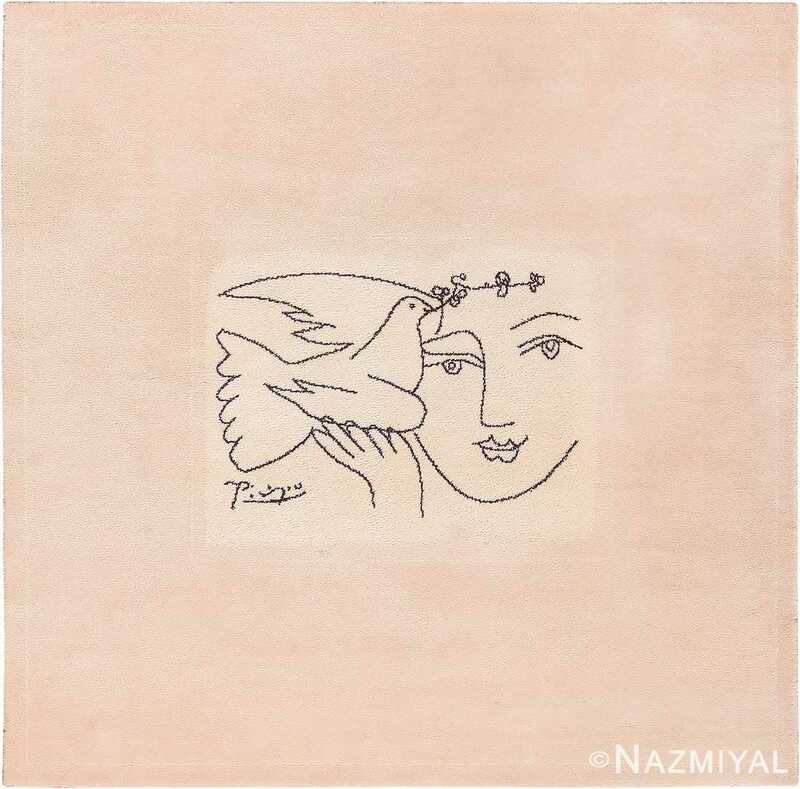 One of the most influential and recognizable artists not only of the twentieth century but of all time, Picasso’s compositions are treasured for their extraordinarily imaginative qualities, as well as for their deliberate and eccentric treatments of color. 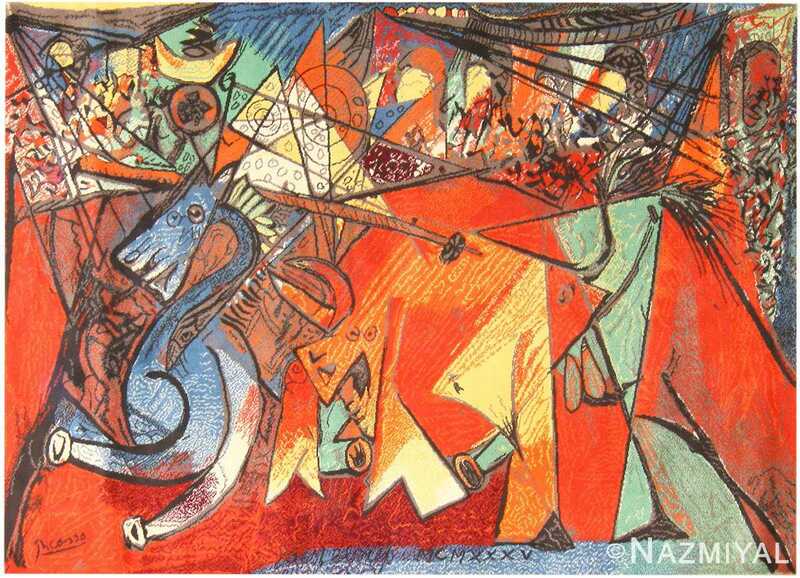 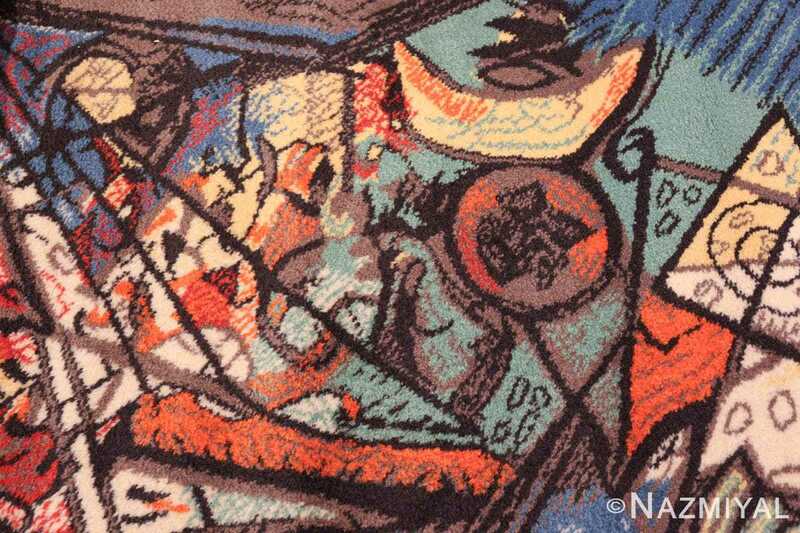 This particular example wonderfully manifests some of the finer aspects of Picasso’s unique style: what is seemingly a motley parade of animals dominates the foreground, while the background features a complex, intricate interplay of a variety of abstract and geometric figures. 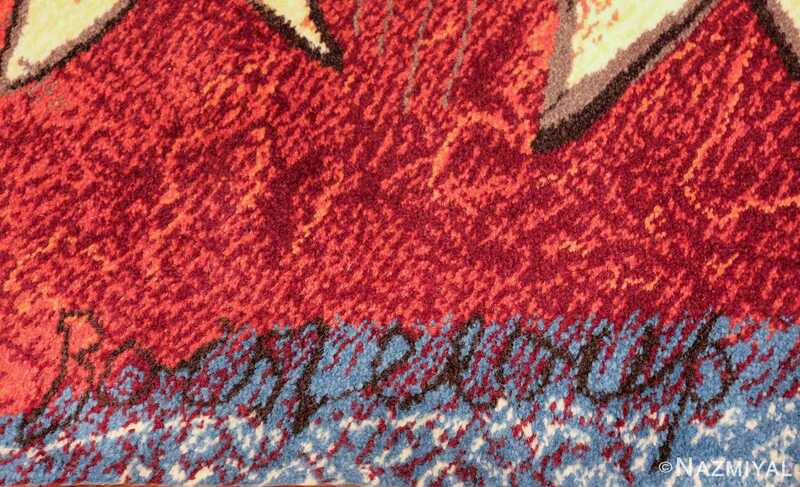 All of this is presented in bright shades, with the large and vibrant swaths of red lending the piece a great deal of its considerable energy. 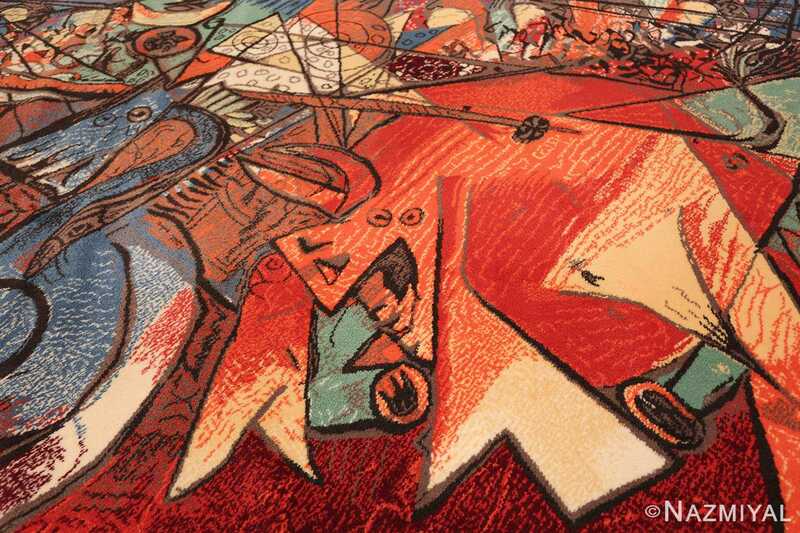 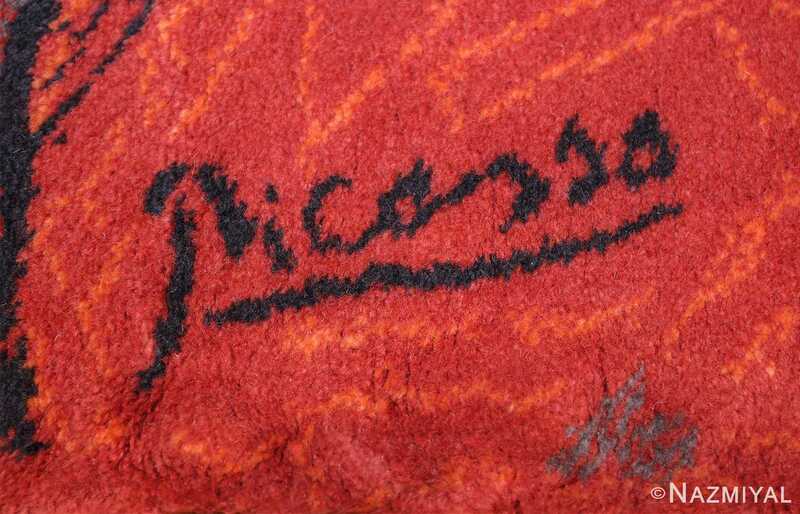 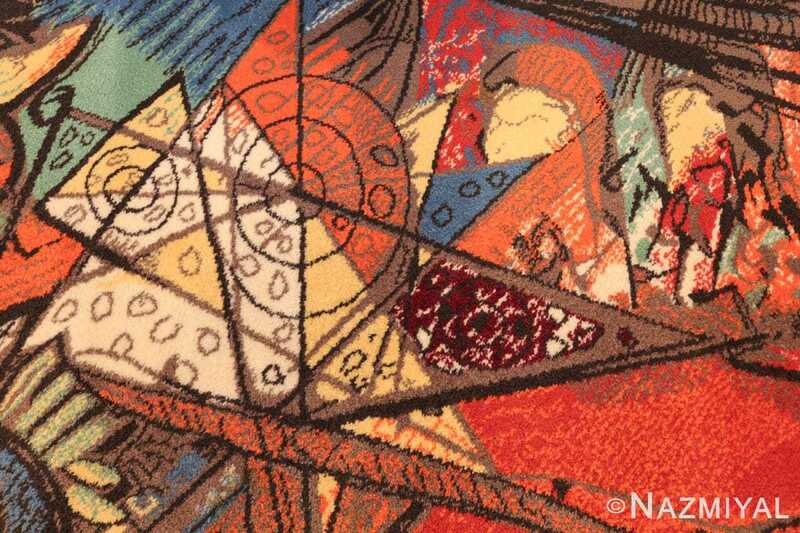 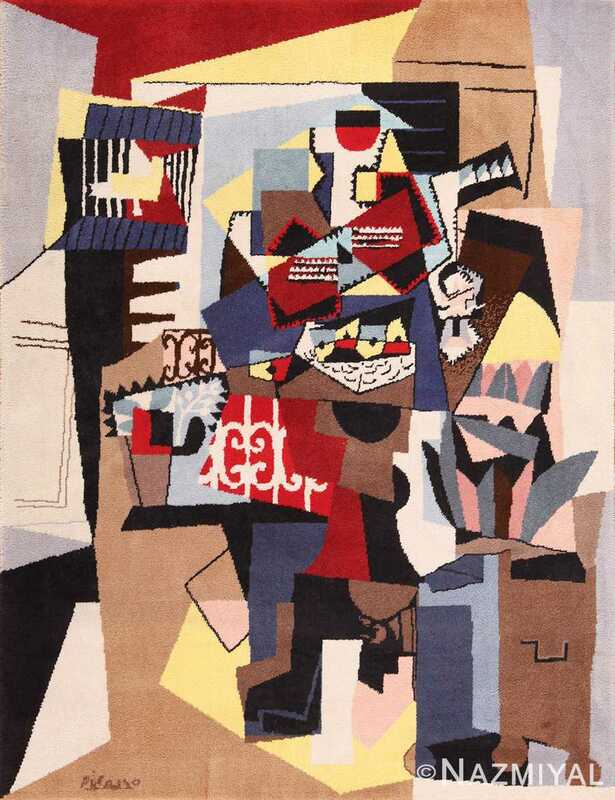 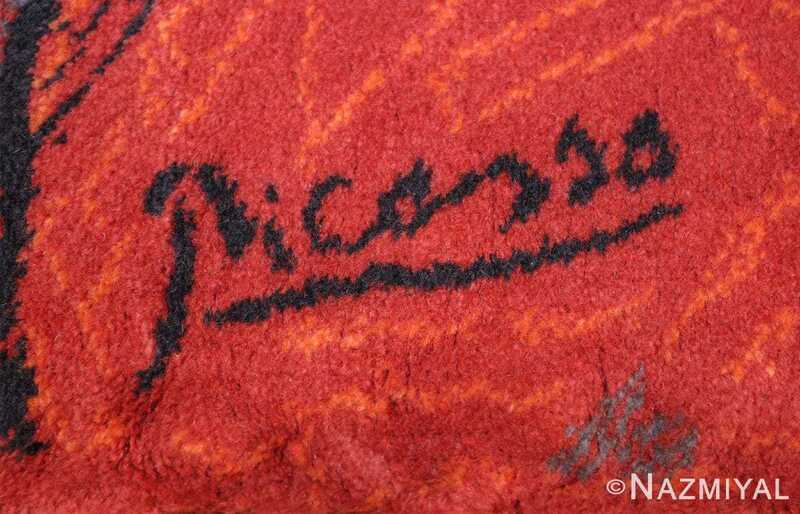 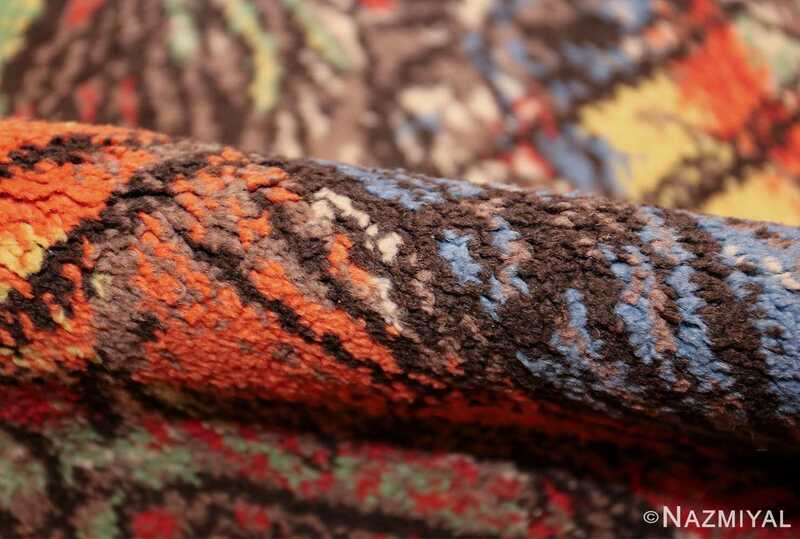 Quintessentially Picasso in overall style, this mid-century Scandinavian carpet offers a unique opportunity to own a piece designed by one of the most important and influential artists of all time.